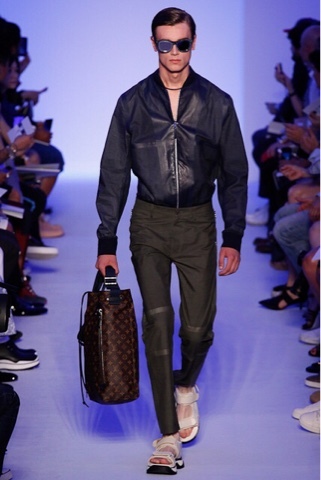 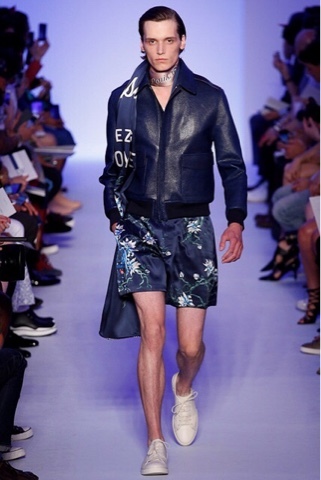 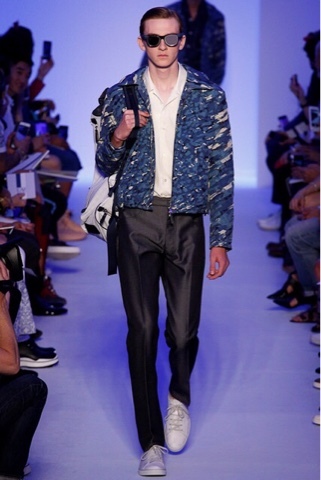 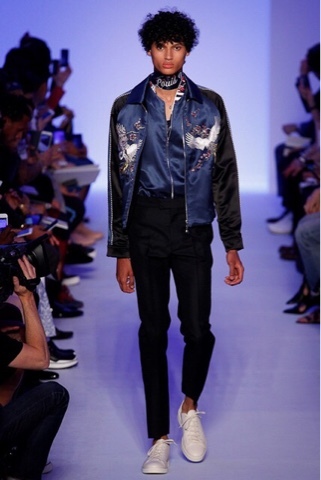 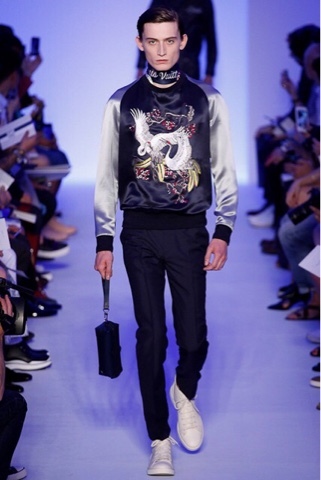 For SS16 Louis Vuitton keeps next summers trend going with satin bomber jackets and camo. 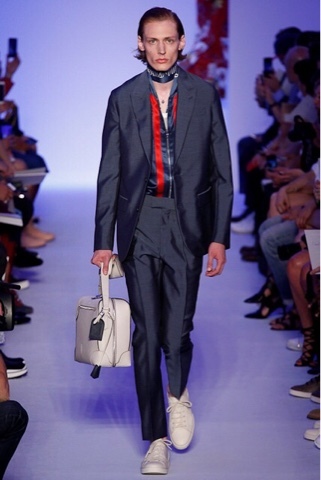 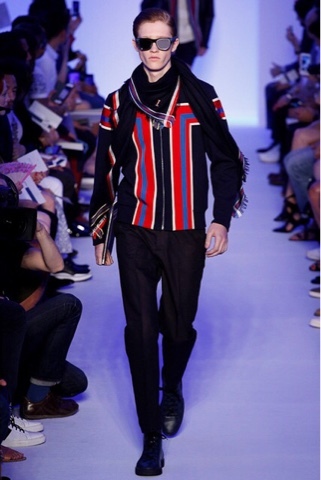 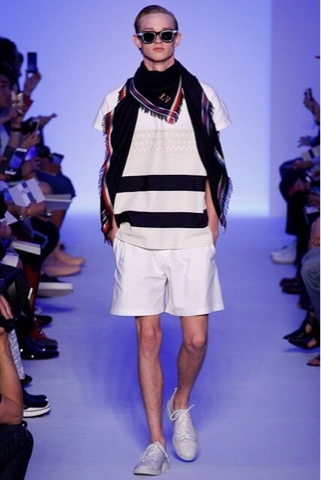 I really enjoyed the color story of red, white and blue with touches of black and dark denim. 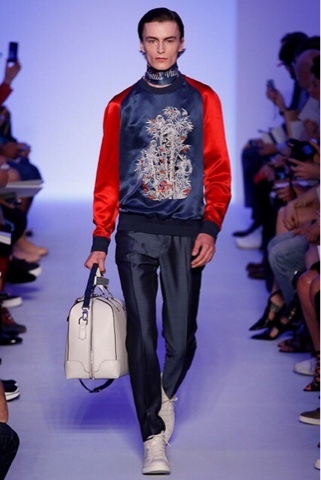 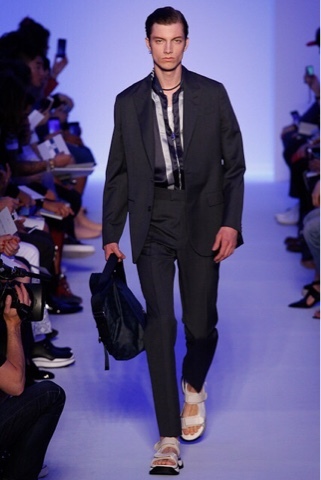 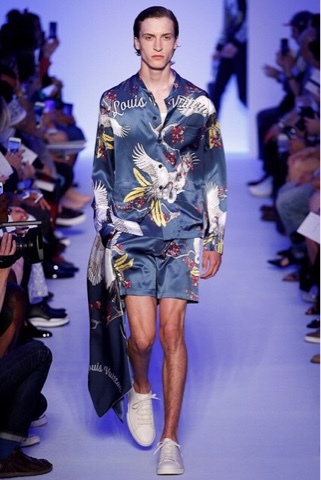 They took inspiration from the Gaston Vuitton colors while showing embroidery details and mom monogram stripes. 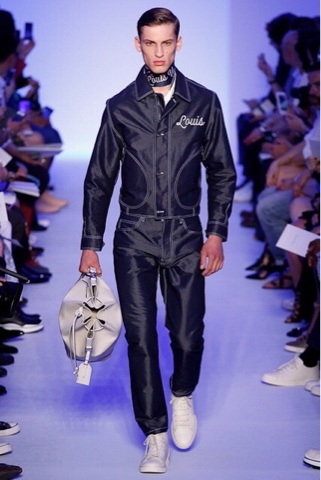 The theme was very nautical with a twist of luxury and lots of satin. 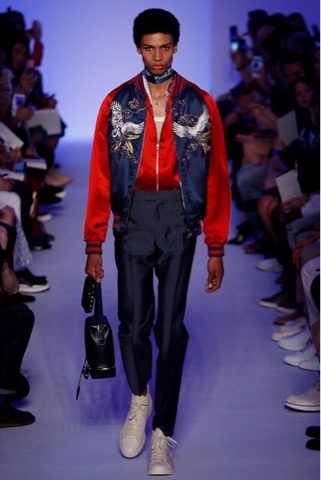 Some of my favorite pieces were the red sleeved satin bomber, the camo jacket, the white shorts and the new monogram tote bag.